Uber is not doing well. In fact, it’s hemorrhaging cash to the tune of about $2 billion (2016) and possibly as much as $3 billion for 2017. Also, the core service (individual rides) is largely a negative margin business. By some accounts, fares only cover about 40% of the cost of the ride. Beyond that, the CEO has publicly declared that the whole venture is entirely dependent on driverless cars — at scale. Most scientific opinions I’ve read suggest that fully autonomous cars (at scale), are decades away (if ever). And that’s just the first obstacle. Beyond the massive societal shift away from car ownership (which is still very popular), are some very real (and sober) technical obstacles. Like Marc Andreessen — I also believe that “software is eating the world,” but there’s a serious vulnerability with that evolution. Software is inherently insecure — and that represents an incredible risk for cars that rely entirely on software for all major functions. Cars have already been hacked and the result is both crippling and chilling. The selling of that safety and security to consumers should not be underestimated because it will require a long trajectory, federal support and millions of safe actual passenger miles (think air travel). Software has yet to cross a major ethical dilemma that really only exists in truly driverless cars. Should the software be written to protect passengers over pedestrians — or pedestrians over passengers? This isn’t trivial — and it’s critical — not just technically, but for consumers getting into a car where they are likely to know the logic (as they should). The financial calculations around the cost of truly driverless cars (with additional hardware/software components) are destined to be an order of magnitude more expensive for the foreseeable future. Think of this as Microsoft Windows but with ten times the complexity/cost/risk. Those are just some of the big technical hurdles for driverless cars — which Uber itself has openly stated is critical to the success of the company. Then we get to the business challenges which are more specific to Uber individually (and autonomous car sharing more generally). The negative margin today with a physical driver may not change significantly (or enough) by eliminating the driver. Dispatch software (part of Uber’s core service) isn’t proprietary or protectable. It’s largely a commodity that other companies can (and have) duplicated easily. 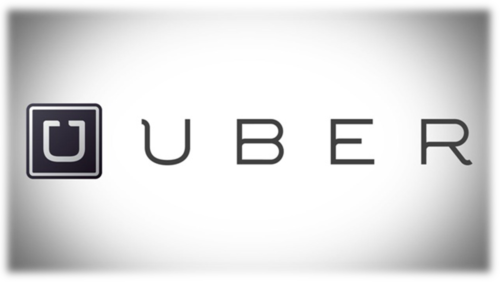 Uber doesn’t manufacture the core component on which its entire service depends — the car. This last one is equally troubling because of the two core components — dispatch software and automobile manufacturing — one is commodity software (that’s easy to duplicate) and the other requires, well, a whole ton of other stuff. A more likely scenario for driverless cars — at scale — is that consumers would hail a Toyota, Cadillac, Hyundai or Lexus driverless car based on those brand attributes (and tiered pricing) — not an Uber. It will also be a better experience (for both safety and quality) to build the experience as a single solution rather than as an amalgam from distinctly separate companies. A blended solution between 2 big companies also represents a big legal issue around the assumption of liability. This issue alone may be insurmountable because it would require competing commercial interests to agree (with precision) where the liability lines are — and for how much. So no, I’m not that bullish on Uber’s future prospects beyond an insatiable appetite to burn risk capital on a Quixotic quest to own a market that may never materialize. To date, the company has secured over $11 billion in risk capital over fifteen rounds (with more than seventy-five investors). With all this as the backdrop, I see only one remaining question: How much longer will investors keep funding this Ponzi scheme in hopes of at least recouping some of their investment — decades from now? An investment which, by most accounts, appears to be predicated on owning a large part of a market that has yet to materialize — let alone at scale.